Thanks to new versions of the hardware and increased sales in the past twelve months, Sony's PlayStation 3 has finally become a profitable machine for the company. From the first day of the PS3's release in 2006 until only recently, every console Sony sold was in fact losing it money. Why? 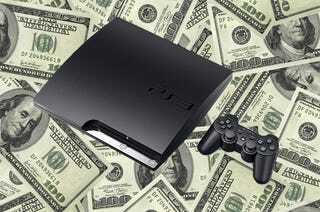 Sony were selling the PS3 for less than it cost to make one. It may sound crazy, but it's how Sony (and Microsoft) have done things for years, opting to sell expensive hardware at a loss while hoping to recoup the investment through software sales. Well played, Sony. It's been a long, tough road. If you want reference on how long and tough it's been, Nintendo have been making a profit on every Wii sold since it launched in 2006.